discussing this defense and perhaps offense. under my administration, the unbreakable alliance between the united states and israel has never been stronger. you read things, you hear things. it's never been stronger. just remember that. people talk but it's only talk. our relationship is powerful. 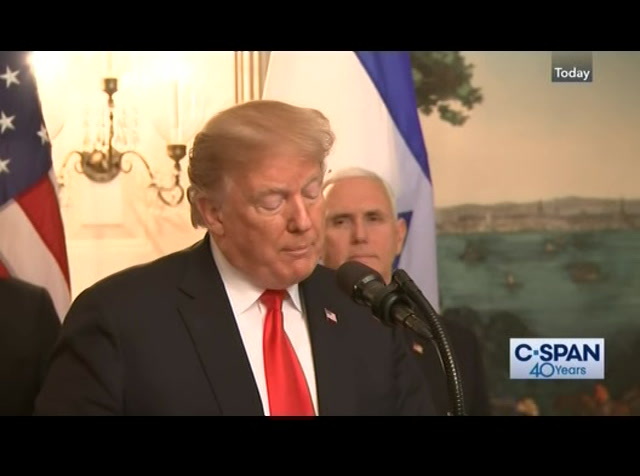 at this moment, the american embassy stands proudly in jerusalem. 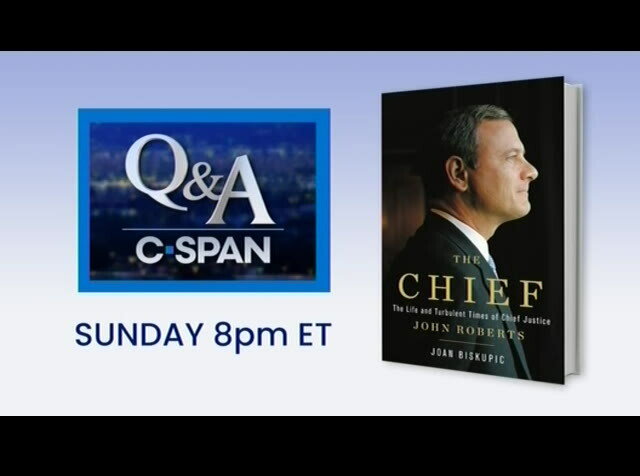 the capital of the jewish people have established and they wanted the embassy for many, many years, for many decades and frankly, through many presidents and we got it done. not only did we get it done, we got it built at a slight cost saving, like about $1 billion cost saving. 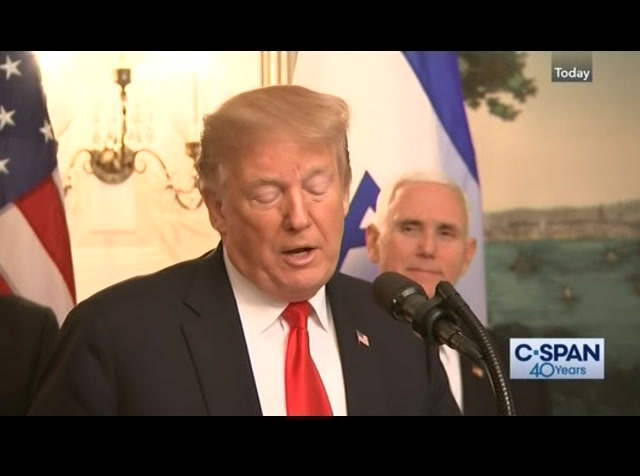 [laughter] president trump: and i want to thank ambassador david friedman for the job he's done and jason greenblatt and jared. and everybody. they worked so hard together so i want to thank you, all. thank you very much, ambassador. are you enjoying it? and you love israel. >> and america. president trump: and america. i was waiting for him to say that. 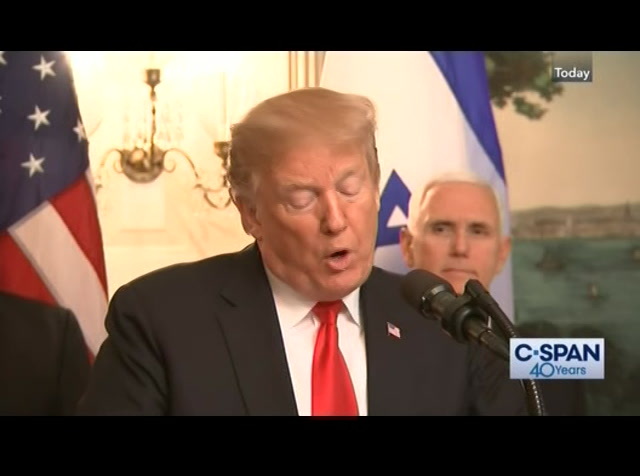 [laughter] president trump: we've defeated the caliphate in syria. we have withdrawn from the horrible iran nuclear deal and imposed the toughest-ever sanctions, and these are by far the toughest ever on the iranian regime. it's having a big effect. iran is not the same country that it was when i took office. the day i took office, we had threats all over the middle east and beyond. iran is a much different place right now than it was. as i said during my state of the union address, we will not avert our eyes from the dictatorship that chants "death to america, death to israel" and calls for genocide against the jewish people. trusted ally, and a cherished friend. the united states will always stand by its side. 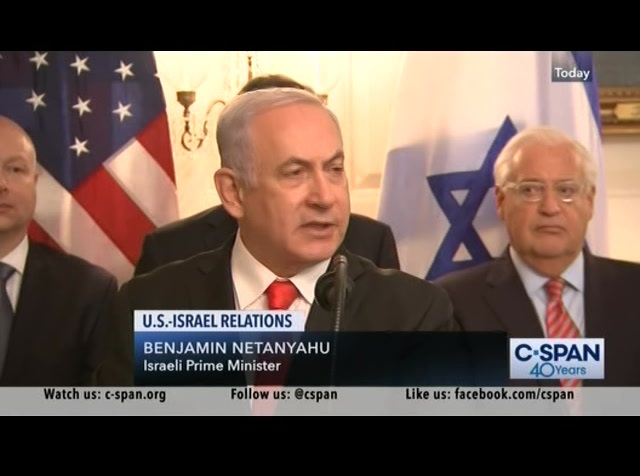 i'd like to now invite prime minister netanyahu to say a few words and b.b. and i have known each other for a long time. he's another one who truly, truly loves israel. i think i can also say he loves the united states. so before i sign the presidential proclamation recognizing israel's sovereignty over the golan heights, i'd like to ask prime minister netanyahu to say a few words. thank you very much. thank you. 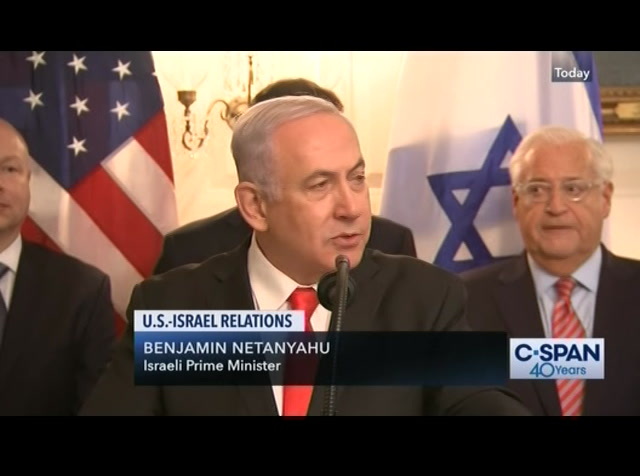 [applause] prime minister netanyahu: mr. president, my dear friend, donald, you have shown consistently incredible support for israel, for our right to self-defense. before i go, mr. president, it me so kind of you to invite to come can here and was so important for me to come here to the white house and to thank you. mr. president, over the years israel has been blessed to have many friends who sat in the oval office. 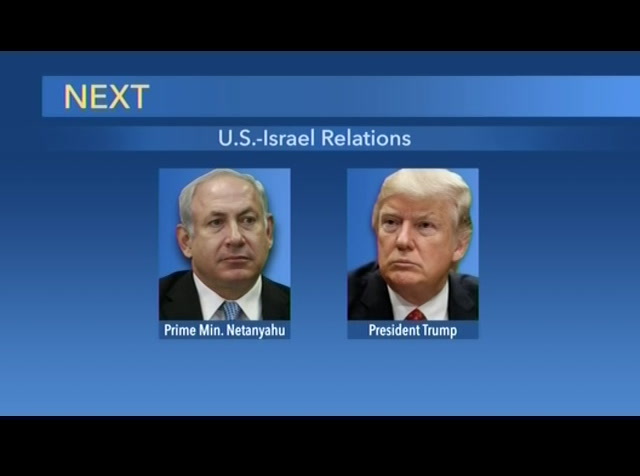 but israel has never had a better friend than you. you show this time and again. you show this when you withdrew from the disastrous nuclear deal with iran. i remember in one of our first meetings, you said this is a horrible deal. i will leave it. you said it. you did it. you showed it when you restored sanctions against a genocidal regime that seeks to destroy the one and only jewish state. you said i will restore those sanctions. you said it and you did it. you showed that when you recognized jerusalem as israel's capital and moved the american embassy there and gave us a tremendous ambassador. you said it, you did it. 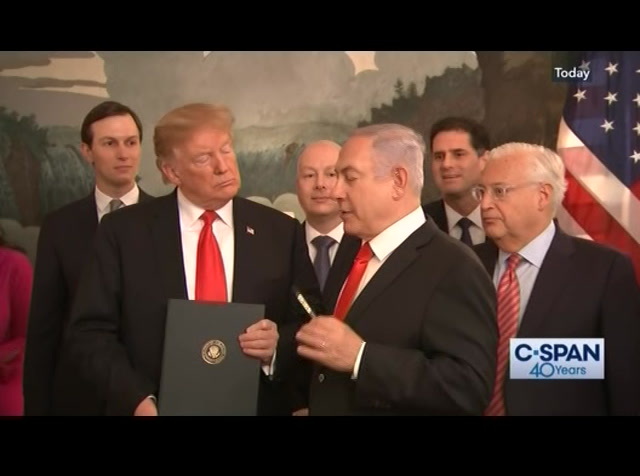 and you showed it once again today, mr. president, with your official proclamation recognizing israel's sovereignty over the golan heights. 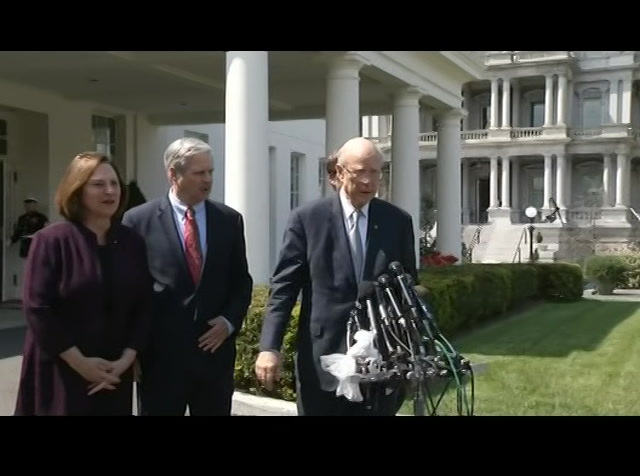 mr. president, ladies and gentlemen, this is truly a historic day. for two decades from 1948 to 1967 syria rained deadly fire from the golan heights on israel citizens below. a generation of israeli children lived in constant danger. and then in two glorious days in june, 1967, the brave soldiers of israel scaled those daunting heights and liberated the golan. this has profound meaning for all israelis and for me personally. president donald j. trump. and you, mr. president, mr. president, you have done it not once, but twice. with your bold proclamation on jerusalem and with your bold proclamation today on the golan. your proclamation comes at a time when the golan is more important than ever for our security. when iran is trying to establish bases in syria to strike at israel. from across the border, in syria, iran has launched drone s into our airspace, missiles into our territory. mr. president, just as israel stood tall in 1967, just as it stood tall in 1973, israel stands tall today. we hold the high ground and we shall never give it up. r. president, we have a saying in israel. i'll say it in hebrew. [speaking a foreign language] that means the people are with the golan. thanks to you there are now two people who is stand with the golan. 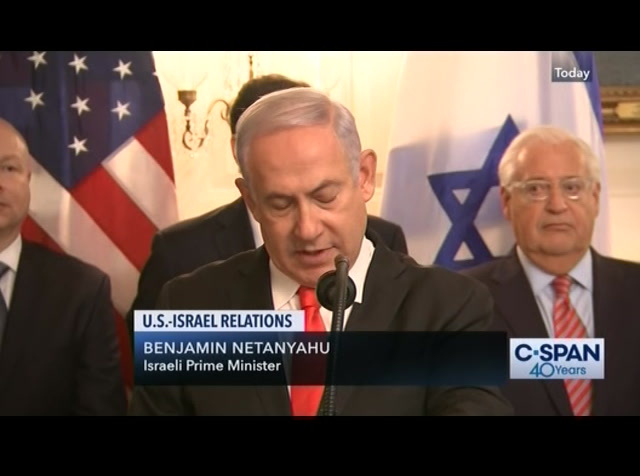 the people of israel and the people of america. 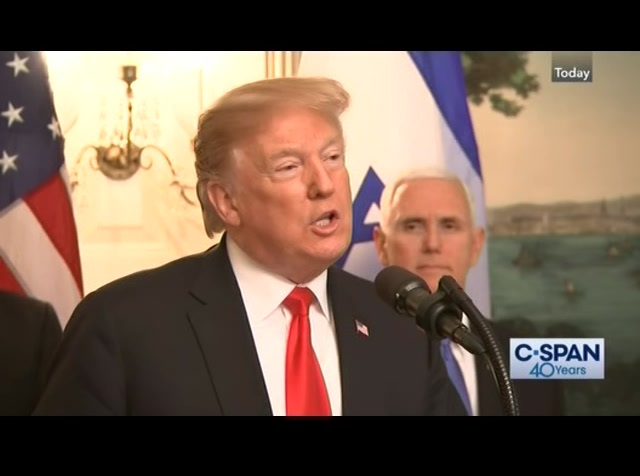 so on behalf of all the people of israel thank you president trump, thank you for your leadership, thank you for your friendship and thank you for all you have done to make the alliance between america and israel stronger and greater than ever. thank you, mr. president. 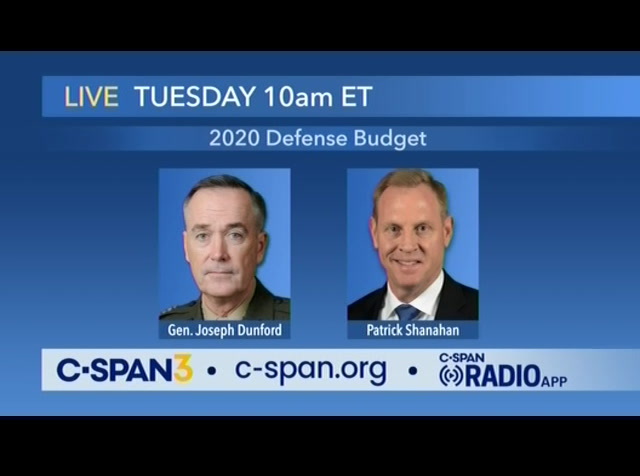 [applause] president trump: thank you very much. 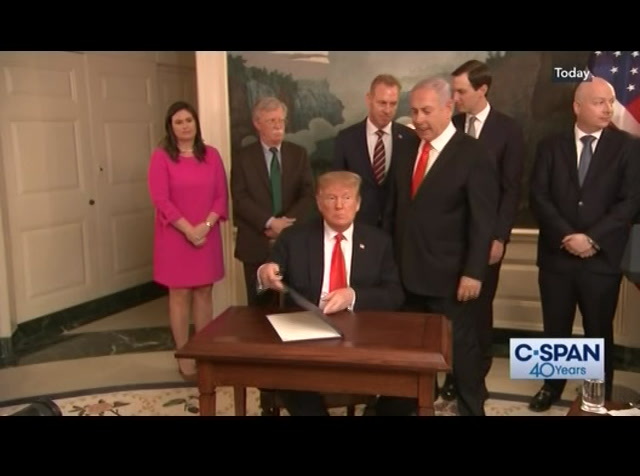 President Trump signed a proclamation recognizing Israel's sovereignty over the Golan Heights. 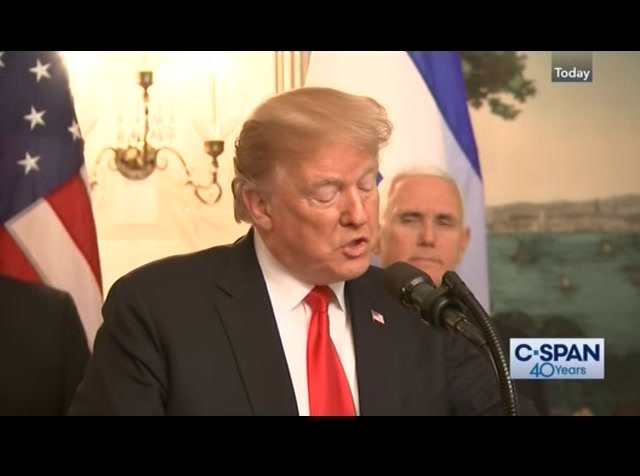 In his remarks before the signing, he said the U.S. will always stand by Israel's side and the relationship between both countries had never been stronger. 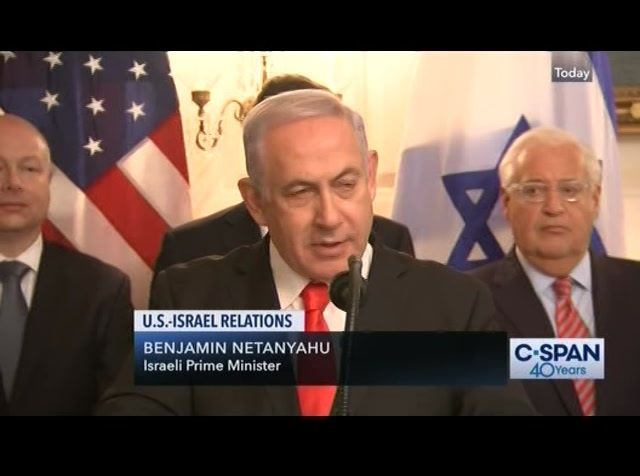 Israeli Prime Minister Benjamin Netanyahu also delivered brief remarks.